Continuing the theme of the last Video Showcase I found this video of another interview from the same time. Dame Shirley speaks about her 40th. anniversary and the album ‘Shirley Bassey sings the songs of Andrew Lloyd Webber’. Also three newspaper clips from 1993. Shirley did a lot of promotion for this album. She was made a Dame 7 years later! 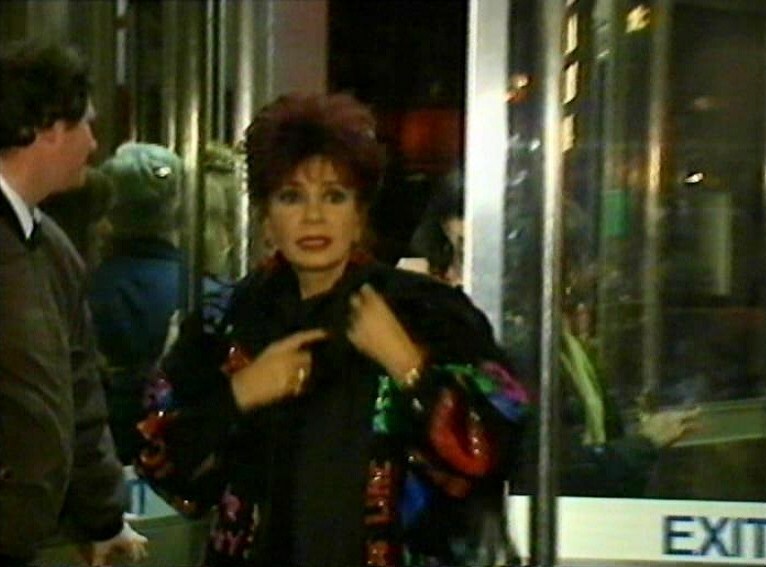 Pieter, Many thanks for this FANTASTIC Video of 40 years in showbusiness of Dame Shirley , now of course in OVER 60 YEARS in Showbusiness , She says there is not many left in the business as regards GLAMOUR , that was 26 YEARS AGO. Thank you Pieter. I enjoyed the articles and the lovely video. 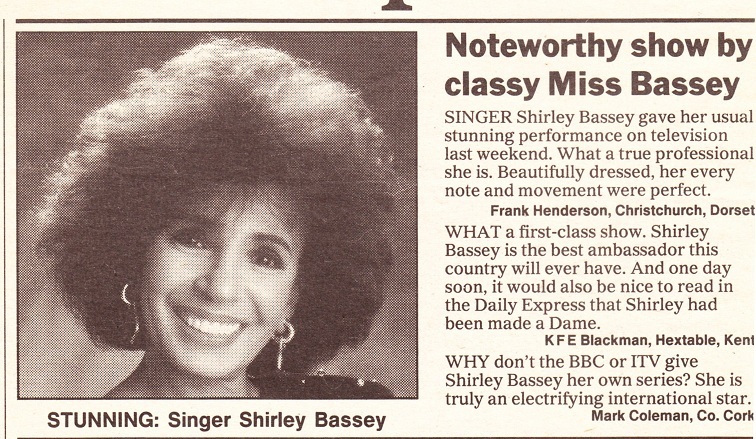 DSB looked gorgeous and I agree bring back the glamour. I have the Sir Andrew Lloyd Webber album and I really love it. DSB and all involved did a superb job.